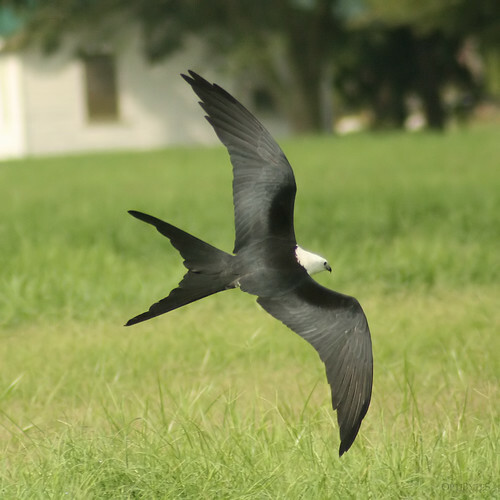 We had such a good time last weekend in Glennville, we decided to venture down to view the Swallow-Tailed Kites one more time. Last weekend, there were just six of us observing the birds. This weekend we had quite a few more. 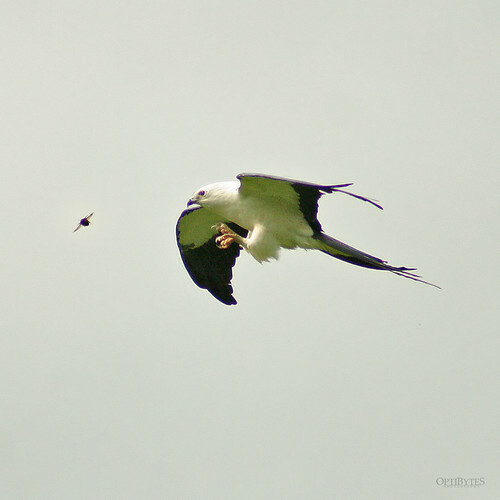 After meeting at the Little Rock Baptist Church, Gene Wilkinson led us all about a half mile away to observe the arrival of the Swallow-Tailed Kites. It didn’t take long before the first kite came soaring into view. 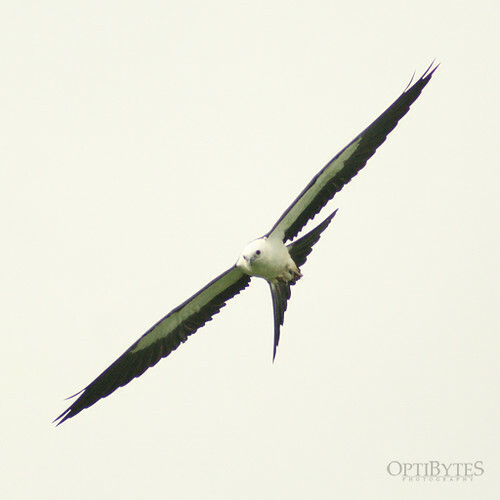 The Swallow-Tailed Kites are one of the most graceful birds to watch, as they soar high on the wind, dive down toward their prey, and then glide peacefully just feet off the ground eating their catch. 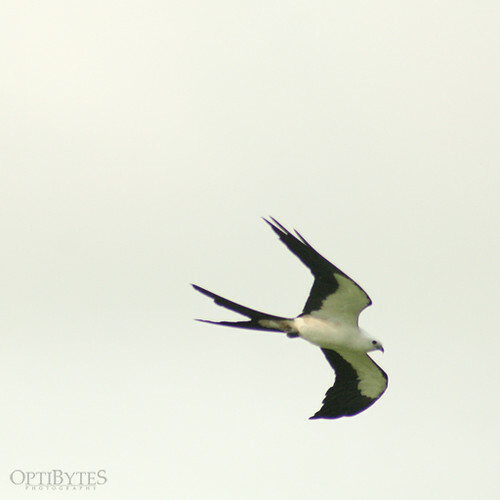 Within minutes, we had 20 Swallow-Tailed Kites flying over the field. There were plenty of June bugs popping all over the field, and the kites had a field day chasing them down. At one point they birds were flying directly overhead and I thought for a moment they may drop their lunch right on top of our heads. We spent about 2 hours watching these magnificent birds perform their acrobatic stunts, and then we ventured down the road to Jekyll Island again. This time we arrived at low tide and we were able to observe many more birds than we did last weekend. 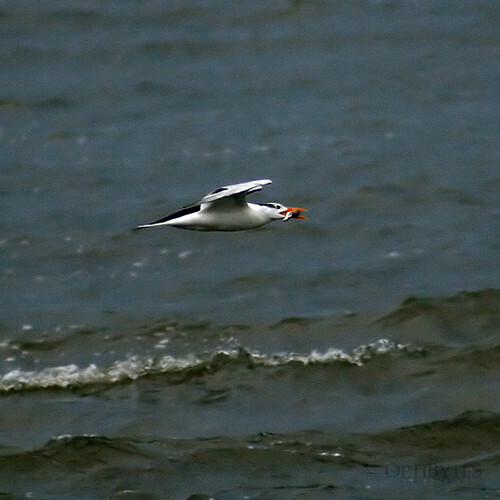 We got a few photos, but many of the birds were so far offshore we could only see them in the scope. After spending some quality time at the beach, and visiting with Josh Spence, who we just happened to run into at Gould’s Inlet, we began our journey home again. All in all it was a wonderful day, just as we had hoped. 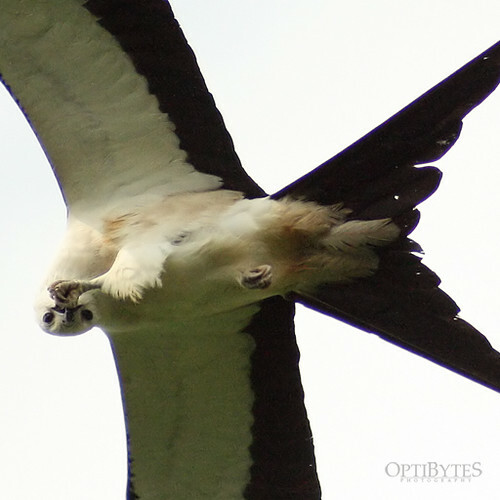 We got to see the magnificence of the Swallow-Tailed Kites again, but the highlight was adding eight, yes eight, life birds to our lists. It will be a while before we can make it back down there, but we’re already looking forward to birding the Georgia Coast this fall. Oops, posted in the wrong spot.